The Large Easel Bag is compatible with Studio Designs’ Docu-Point Easel #13150 and Deluxe Presentation Easel #13185. 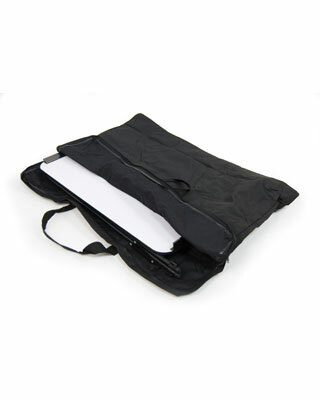 It features a full-length zipper closure for accessibility and a comfortable web strap for carrying over your shoulder. Includes a sewn-in outside pouch for markers and erasers. Nylon exterior dimensions: 41"W x 32"D x 4"H.